Jaguar is a global brand in the luxury car market. In the last few years it has moved to make its cars more accessible. 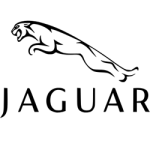 When choosing to lease a Jaguar you will be buying into that quality brand. At LittleGreenCarLeasing we have a variety of Jaguar lease deals to suit a range of budgets. With Jaguar style comes as standard and you have lots of choice on options to select. Jaguar have developed cars such as the E Pace as family friendly options. Check out these Jaguar lease offers and we're sure you'll be delighted with which ever Jaguar you choose.